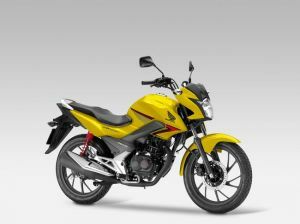 Model updates: The CB125F is extensively revised with CB-F family ‘naked’ style plus a responsive new chassis and six-spoke 18-inch wheels. Built for real-world usability, its new air-cooled engine delivers strong low to mid-range torque, and features a balance shaft and revised PGM-FI settings. Build quality is also enhanced, while purchase and ownership costs remain outstandingly attractive.